Whether you prefer a bottle or can, keeping your drink cold is important. There’s almost nothing better than an ice-cold drink – and almost nothing worse than one that’s room temperature, especially when you’re partying the night away. 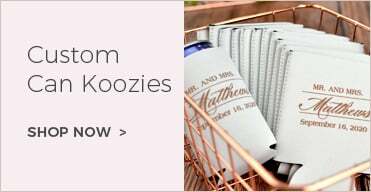 Source: BottlesPersonalized koozies make a great wedding favor as well because they are fun and practical, cute, reusable, and affordable! 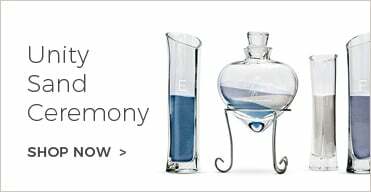 If you’re having an outdoor wedding and/or reception, these are a must-have for your guests. The vows are done; let’s have some fun! Cheers to the new Mr. & Mrs.
We want to be formal, but we’re here to party! She’s tying the knot; buy her a shot! Source: Bachelorette, Many YearsDon’t forget the classic option of just writing a name or bride, groom, bridesmaid, or groomsman on the koozie. While these may work better as gifts for your wedding party, they are a great spin off of your reception favors. 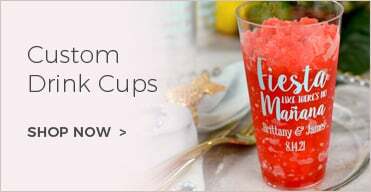 And your bridal party will never lose their drink! With all the different styles and fonts available, your koozies are sure to stand out from the crowd. 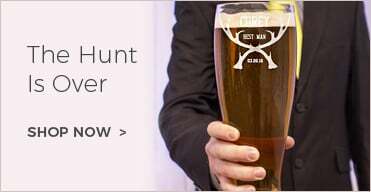 You can also choose from foam, neoprene, leather or even silver-plated and can or bottle-shaped koozies to ensure your guests are getting the perfect favor.